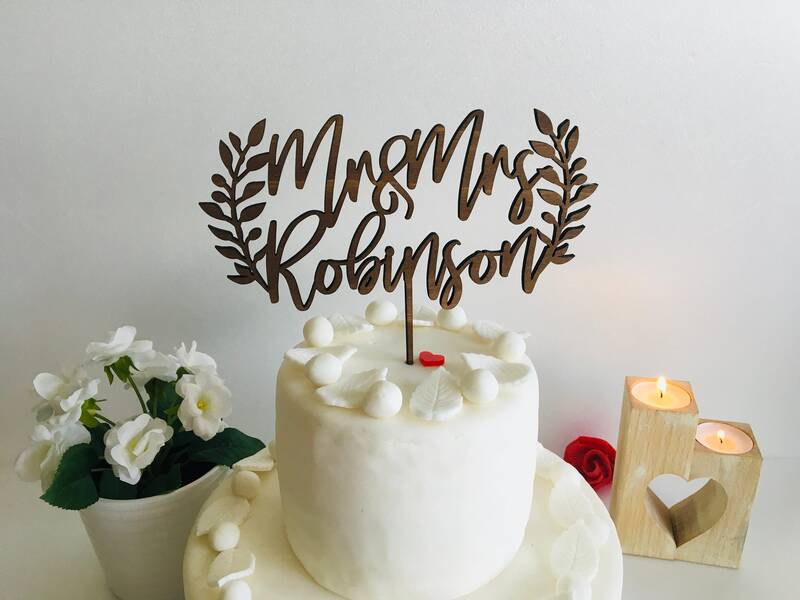 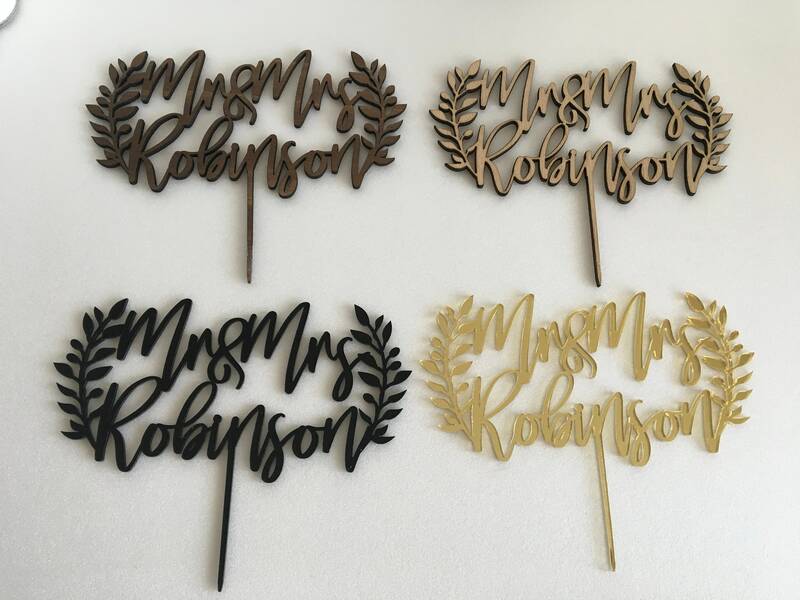 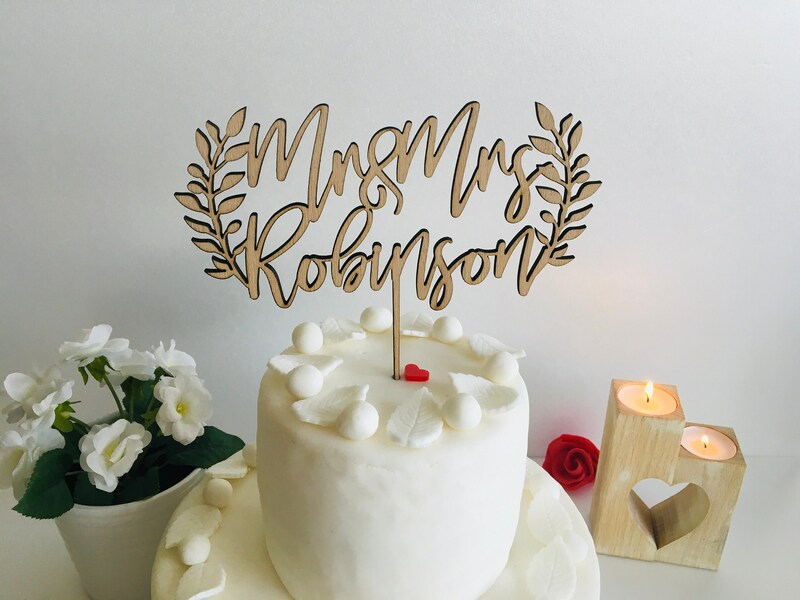 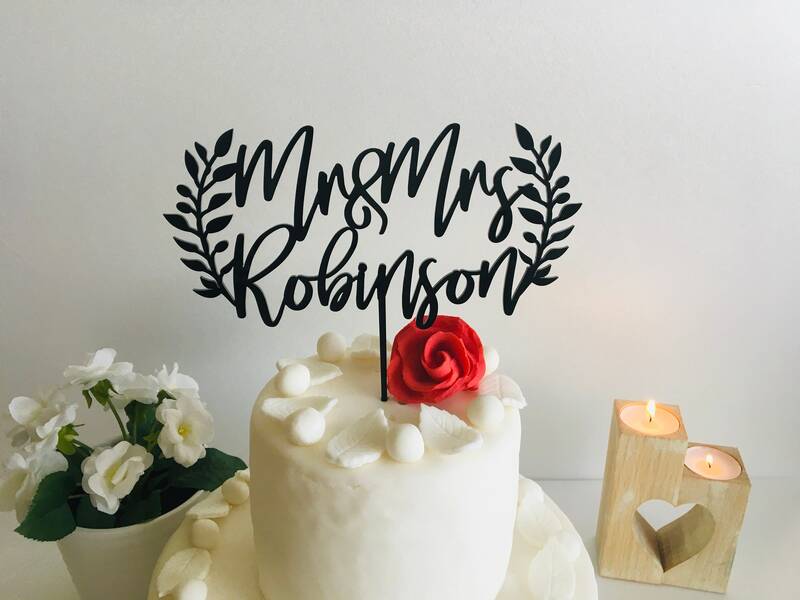 Mr and Mrs Wedding Cake Topper With Last Name. 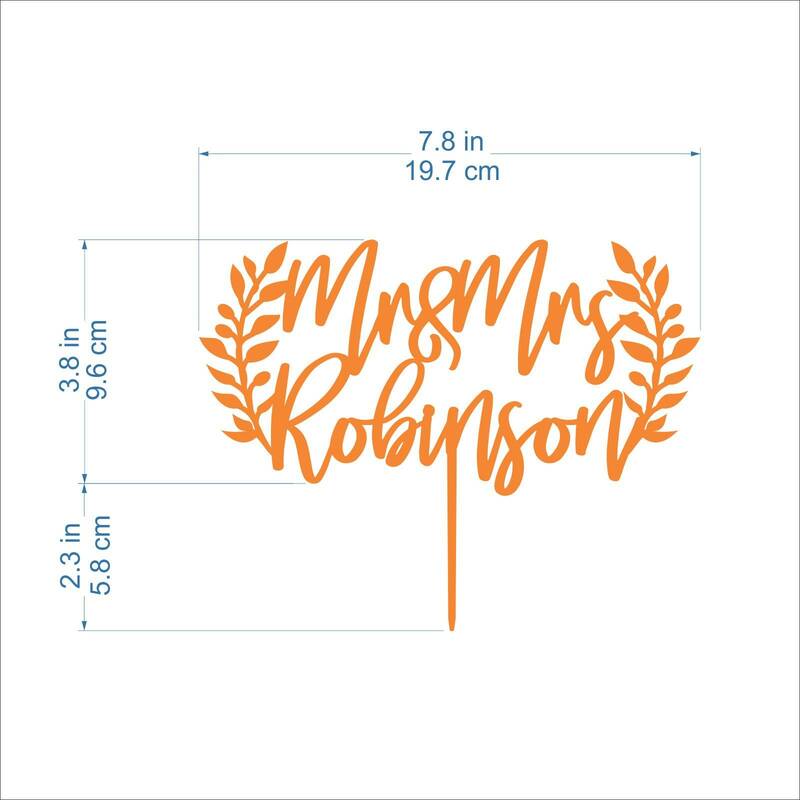 Height : 6.2" included leg. 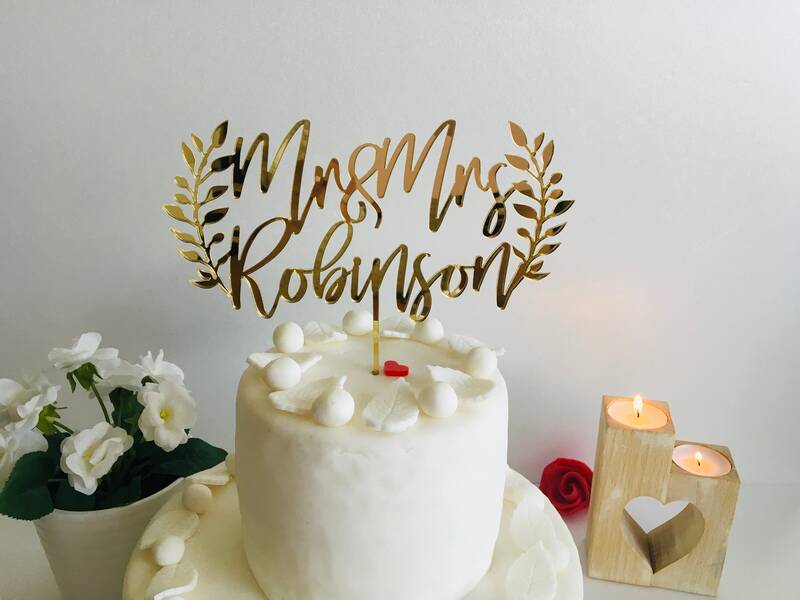 It is so cute and the perfect size and she even wrapped it up so great, I cant wait to use it at the wedding!